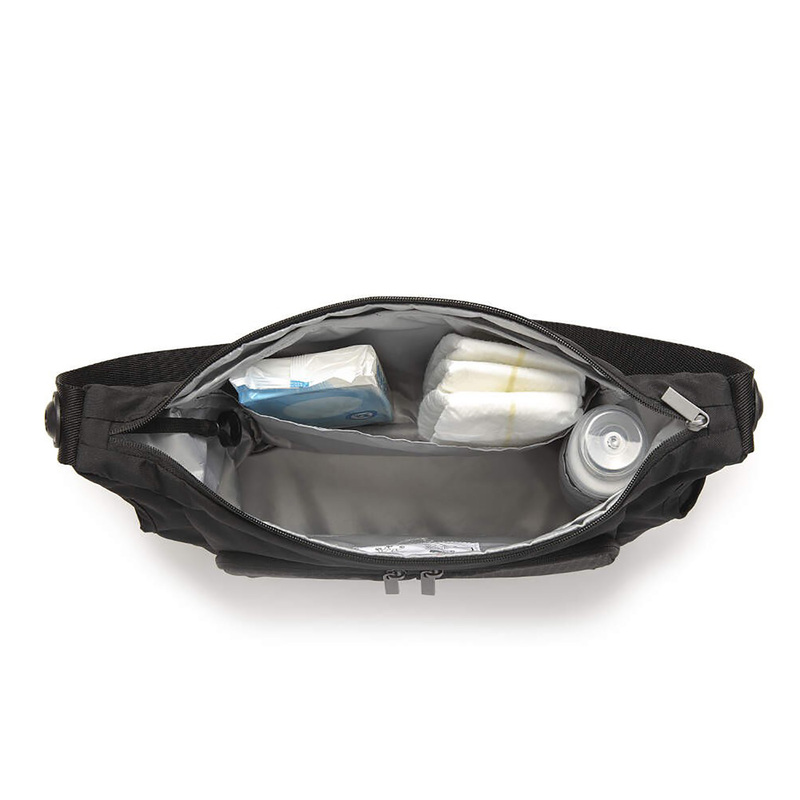 Designed to perfectly compliment your Doona Car Seat Stroller, the Essentials Bag fits to the front of your Doona system and thanks to its unique Doona connectors on the sliding handle, you can easily attach the bag to (and release it from) the bar. 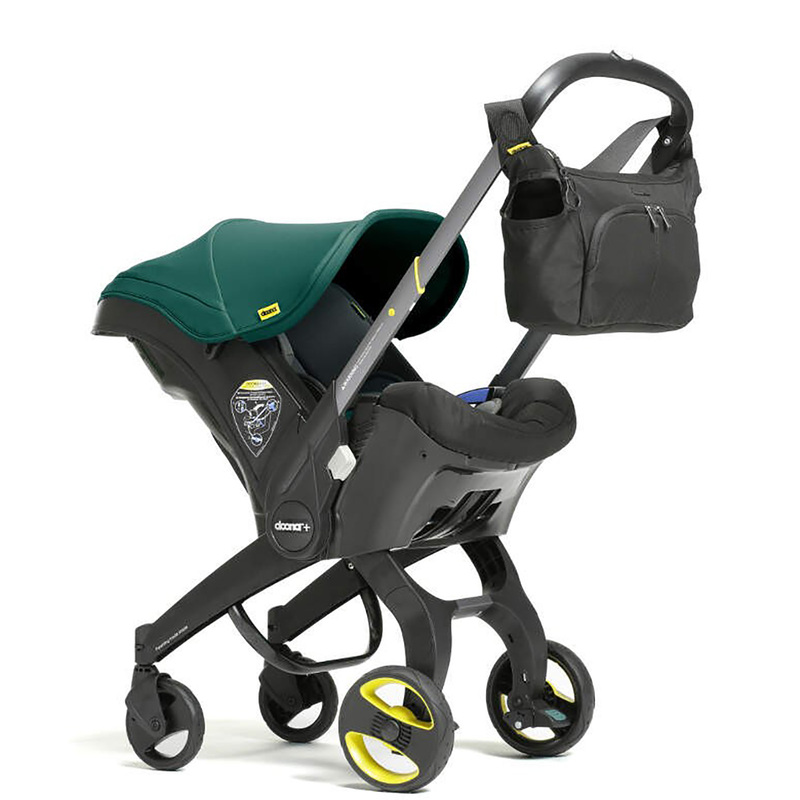 The bag has been designed to maintain the stability of the Doona Buggy and prevent an entanglement hazard. 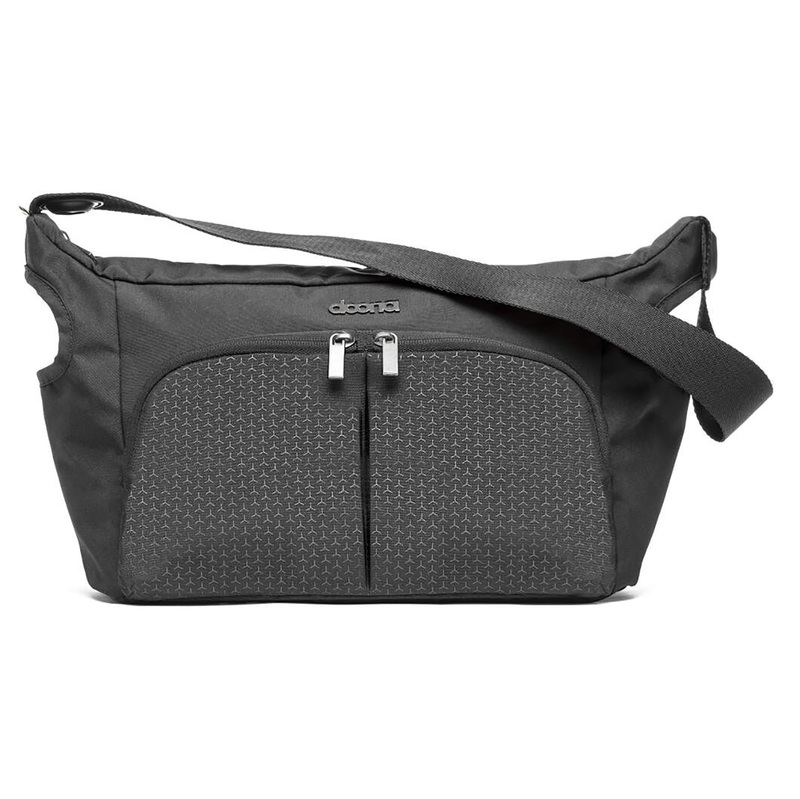 Allowing you to be hands-free all day long, the changing bag provides you with a stylish, practical and stress-free solution for keeping baby’s essential items close at hand and easily accessible. Perfect for busy parents on the go! Offering two drink bottle holders and fantastic functionality, the bag contains 3 internal compartments, 2 exterior zipped compartments and a handy hook clip for keys or dummies. Lined with a water resistant material to catch any spills, the Essentials Bag enjoys superior finishes and chic fastenings which really raise the style bar!